One great perk about Bangkok is that a couple-hour car ride takes you to a completely different scenery and vibes. So even if you are time-strapped but want to explore more than the busy metropolis, Kanchanaburi and Ayutthaya are among the best day trips from Bangkok. If you’re into both history and nature, we honestly think Kanchanaburi will be your next favorite city like it is ours. We love the 7-tiered Erawan waterfall and its crystal clear turquoise water. The Death Railway (aka Thai-Burma Railway) is a sad but vital monument of what happens when we go to war with each other. If you’re keen to learn more, the JEATH War Museum in Kanchanaburi has well-researched info and exhibition that shed light on WWII in this part of the world. Ayutthaya probably made it to your must-go list already. It was Thailand’s capital city for 400 years before burnt down during the Siamese-Burmese war. 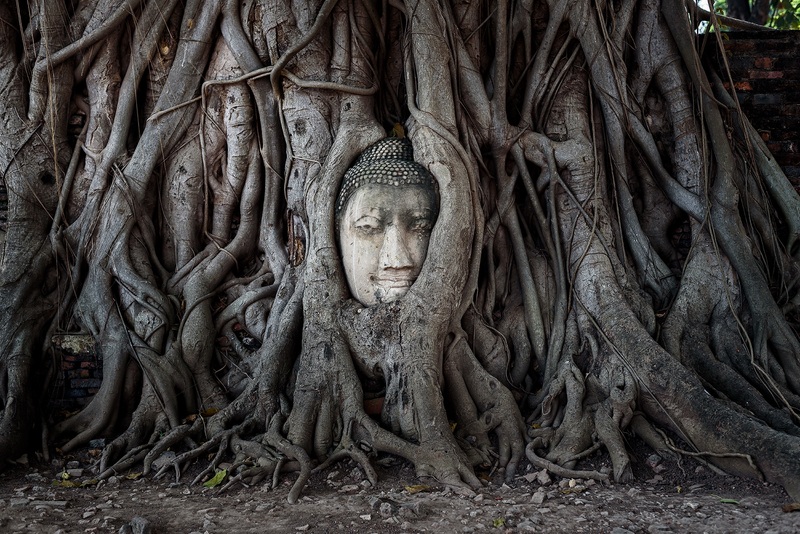 Today, the Buddha Head Statue in tree trunk and old-world charms make it a classic must-visit city. For a more modern cultural spot, Bang Pa-in Royal Palace has the fun mix of Traditional Thai, European and Chinese architecture that mirrors Ayutthaya’s international relationship with the great powers of its day. ‘And it was all yellow..’ is the first thing that pops into our mind (since the Coldplay song came out) every time we’re struck by the vibrancy of sunflowers here. The great part is that you can visit a floating market on the same day. 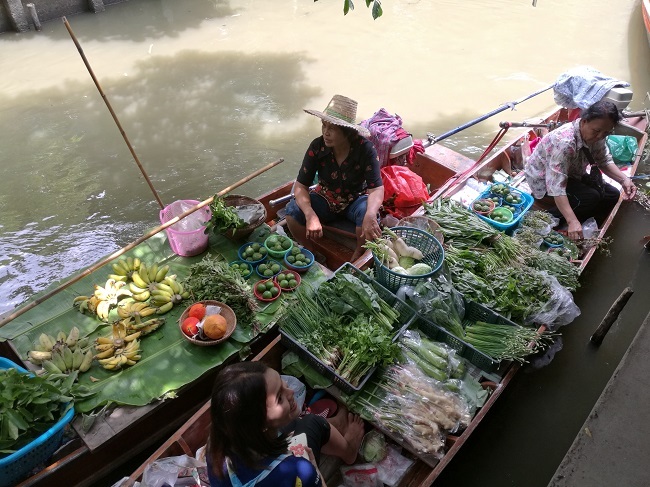 Besides Damnoen Saduak, Thailand has a handful of iconic floating markets with infinite variety of local treats. Amphawa floating market is one of the best, and if you haven’t already, check out Maeklong Railway Market. Vendors sit with their trade practically on the side of railway, and pull away in a flash every time the train is arriving. See: Iconic floating markets in Thailand. Even as Thais, we think Khao Yai one-day trip is an appealing idea. You can do a chill hike or animal watch in the lush and huge National Park. If that is too much of a physical challenge (same here. No judgement. ), slow days hopping from one wine yard or hip cafe to the next are the best.